I think it's difficult to avoid "brunch" when you're off for a weekend trip with your significant other in a place that happens to have a few good places that do brunch. Granted, we didn't go during a normal brunch hour (we actually went pretty early in the morning) BUT the restaurant supposedly has a good brunch and dang good breakfast too. 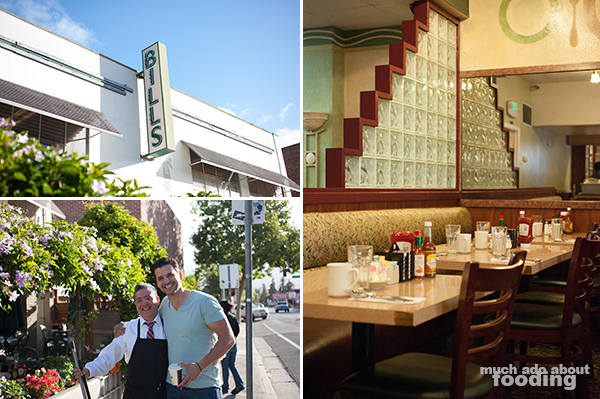 With their food being made from scratch, Bill's Cafe is a small "chain" in the sense that there are four of them in the SJ area but local since they stay in the community. They open early and close early. We had wanted to go to this one because it's the original. 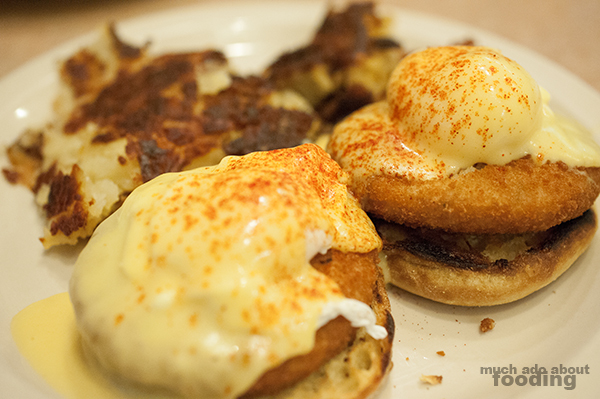 It was also nice that Monday through Friday you can get half a benny (benedict) and other items discounted in the early morning hours. We met some fun, smiling people outside of the restaurant, and upon entering, we saw old-school decor with some drab pink and other muted colors. Nevertheless, the staff were very nice and food great which let us know that the old-timey feel also hearkened back to respectable dining experiences. Duc opted for the Bread Pudding French Toast (baked with walnuts & raisins, dipped in batter & grilled, topped with fried banana & special bread pudding sauce; served with eggs & bacon/sausage) because I guess he was craving bread pudding again. Wow. It was SO GOOD. The bread pudding itself was of a balanced sweet consistency and texture but covered in cinnamon and other French toast adornments, it was out of this world. 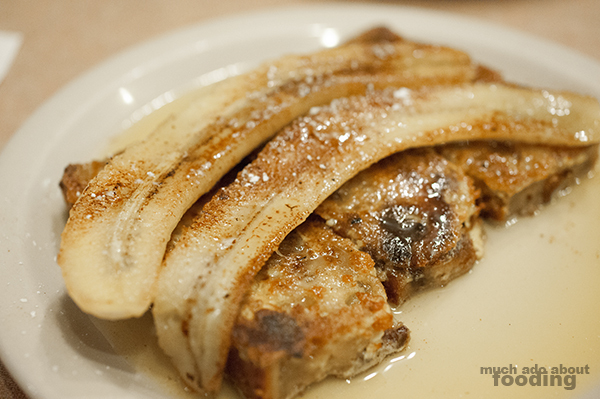 The slightly bruleed banana slices on top of the bread added just enough fruity kick to the dish. 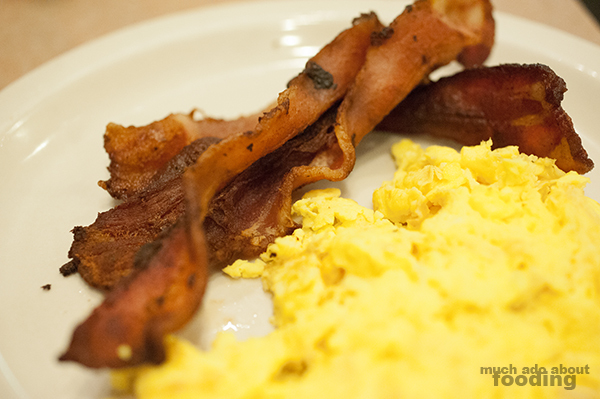 Alongside it came eggs that were okay and fairly good bacon too. 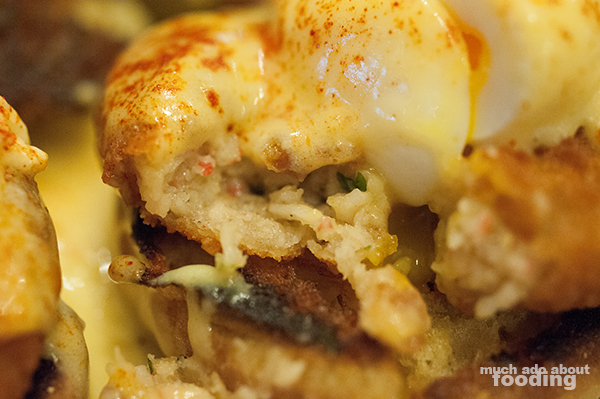 Popular reviews and demands had me hankering for their Crab Cakes Benedict (two crab cakes, two poached eggs, Hollandaise sauce on English muffin), a dish that many had boasted of as being the best anywhere. I found that my crab cakes were not as flaky as preferred with possibly too much other flavors BUT it didn't take away the taste. I thoroughly enjoyed my dish with its eggs poached well and the sauce making it all delectable. 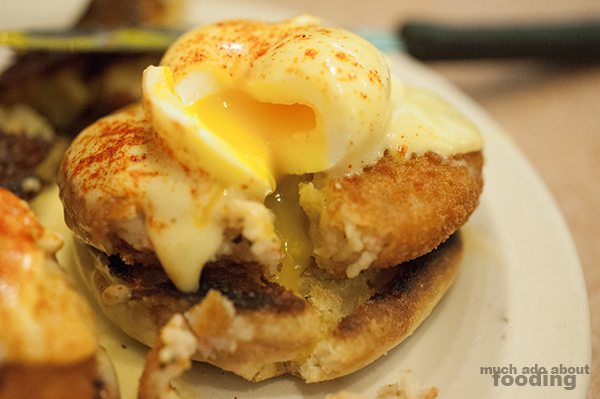 The egg just oozing down onto the crabcakes with well-toasted English muffin tops and bottoms was just perfect. What a great experience!